How to Train your Shih Tzu to stay home alone. When you finally get your very own Shih Tzu puppy, you simply don’t want to let it go. You want to stay with your cute little friend forever – and the dog feels the same way. However, most of us can’t just stay home all the time. We probably have to go to work or we sometimes find engagements that are just out of bounds for a dog. It’s super important that no matter what your situation, you train the dog to stay home alone or at least with other people. You want to limit the anxiety when the inevitable separation happens. It doesn’t really matter whether you are going to be away from your Shih Tzu for five minutes or five hours. The anxiety must be dealt with and you need to be confident the dog doesn’t do anything silly while you are away. The good news is that you can train your Shih Tzu to stay home alone and it isn’t going to be too difficult. You just need to keep a few tricks and tips in mind. 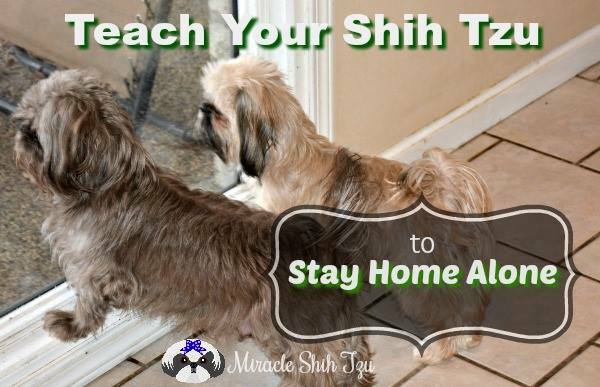 Here is how you can train your Shih Tzu to stay home alone safely and confidently. Shih Tzu is a very friendly dog breed that likes companionship. It’s important you don’t train the dog to be alone too early – a young puppy simply won’t be able to comprehend why you leave them alone. So, when you first get your puppy, you need to ensure you can be with them for the first few months. If not you, then you want someone looking after them at all times. Remember that it’ll take a few months to house train your dog’s bathroom abilities – during this time attention is important. The perfect time to start training would be after the first nine months. The key is to start gradual training around eight to nine months. This means leaving the dog alone for a few hours and gradually increasing the time span. 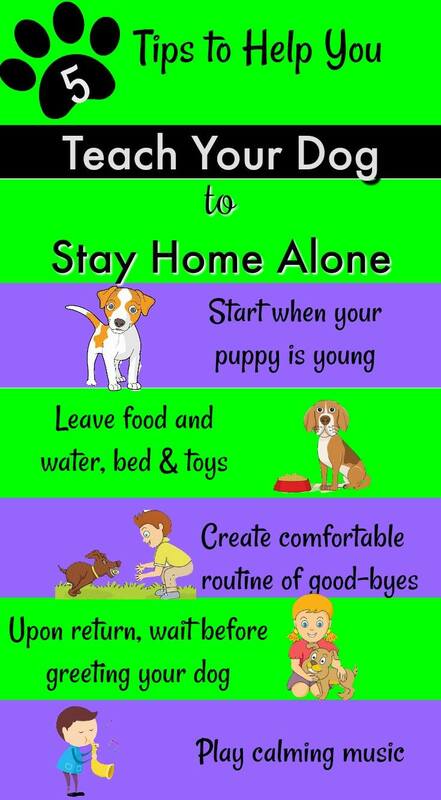 Once your dog approaches 12 months, you want them to be able to stay alone the whole day. If you’ve adopted an adult Shih Tzu, you might find a few additional things behavioural things. Your dog might suffer from abandonment issues – it’s important you learn to deal with this while training. You also need to ensure the dog has enough time to get familiar with the new environment before you leave them alone. Training your dog for separation requires a few steps, but they are not difficult. It’s a good idea to start training by creating a routine of goodbye. You essentially want the situation to feel comfortable and familiar – making your dog understand what is happening and knowing there is nothing weird or rushed about it. Show affection and attention before you leave. You should do this by feeding your dog an hour or two before you leave. Take your Shih Tzu for a brisk walk and be attentive during the walk. Ensure your dog does his or her thing outside. Play for 15 minutes before you go. Give your dog hugs and kisses. Explain that you are going away for a bit and that you’ll play more as you come back. Ensure your dog is comfortable and leave. At first, only leave for a few minutes. Gradually build up the time you are away. When you do come back, you also need to do a few things to create a routine. Never come back with huge excitement – it makes the dog feel this return is a big thing. It shouldn’t be; after all, you’ll always come back. So, just enter the house and do a few normal things before you greet him. You can take him for a walk and play a bit, but only after you’ve been home for 15-minutes or so. This ensures you don’t make a scene out of coming back. One of the most important things to do is to prepare the surroundings for the lonely dog. 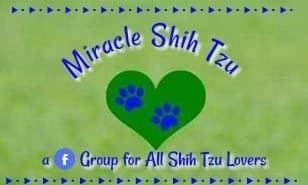 You want to ensure your Shih Tzu has things to do, enough food and drink and that the environment is risk-free. You definitely want to limit things the dog could break due to boredom. 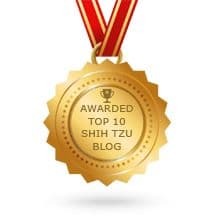 What will your Shih Tzu's space contain? As you know, Shih Tzu should never be left outside – the dog is an indoor breed. But whether you allow them to wander around the house or be left in a single room is up to you. Just be sure each room the dog has access to it adequately prepared. Make sure the room you leave the dog is never used for punishment. The dog has to associate it with fun and relaxation, not being punished! Sturdy food and water bowl – have enough water, but consider putting most of the food in treat-release toys such as kongs. If your dog is prone to knocking over the water bowl, consider a heavy ceramic one or even a water bottle. Plenty of toys – you should have a few different toys for the dog to play. This ensures he or she doesn’t start chewing on your furniture or other things. A place to sleep – have a cozy bed and a few blankets around for sleep. You should also consider leaving the lights on if you’re leaving or returning during darkness. This can help your Shih Tzu feel more comfortable. Of course, you might even consider having another pet to help with loneliness. Furthermore, you could do a few things around the house that help your dog feel relaxed. First, you might want to leave some calming sounds on the TV or radio. Just make sure you know exactly what kind of noises will be played – sudden loud noises might make the dog feel worse. Here are just a couple of titles. Most Shih Tzu dogs will do fine being left alone for short periods of time. For those overly anxious dogs that do not respond to the tips described above, you many need to consider other options. Dog Sitters can visit your dog once or more frequently during the day for a play session or walk. Dog Walkers will pick up your dog and take him or her on a walk in the middle of the day. Dog Day Care facilities provide care at their facility for your dog to stay and play with other dogs or just rest knowing that there are people nearby. There are also many different products on the market that will help calm an anxious dog. 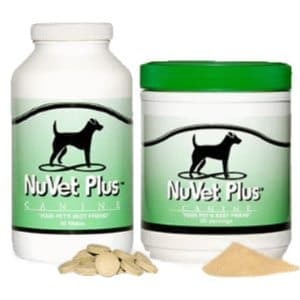 Soft chews, hard chewable tablets and liquid drops are some of the forms these natural oral supplements are available. Those that contain a sustained release mechanism are best for dogs that must stay home alone for longer periods of time. This calming aid comes as a soft chew and is useful for motion sickness as well as producing a sense of calm. This is a safe option, made in the USA with all natural ingredients. Similar to the product on the left, but a few dollars cheaper. This one comes as a liquid that you can squirt in the dog's mouth. If your dog won't accept chew products, this might be an option. Aromatherapy and diffusers are another option. These sprays mimics dog pheromones, producing a sense of calm and well-being. Some are scented with lavender and others have no odor detectable by people. Most are easily plugged into a wall outlet and spray at various intervals. Diffusers work great whether you are at home or at work for calming anxious dogs. They are a more expensive option because you must buy the refills to continue using the product. From the company that makes the Thundershirts, products. The 30-day refill is included and the company guarantees that the product will cover 700 sq. feet. Many people will buy the diffuser and a three or six month supply of refills. 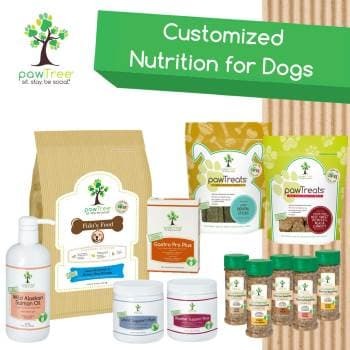 A three month supply is probably all you will need to train your dog to stay home alone. Collars that have been infused with similar products are another option. Collars are worn 24/7 and can be used as an addition to other methods if necessary. I have found that collars alone are not completely effective, but in combination with some of the other products, they work well. Comfort Zone also makes the diffusers as seen above. This one got great reviews on Amazon and seems to be less expensive than the better known products. Definitely worth a try. This one can be on puppies and makes homecoming a bit easier. If you have a dog having difficulty adjusting to new surrounds, this collar might help. With the above tips in mind, you should help your Shih Tzu feel comfortable staying home alone. It’s important to do it all slowly and gradually. Never punish the dog by leaving it alone either – the situation shouldn’t be turned into a big deal; just a normal part of your everyday life.